Renault’s sales volume are majorly driven by this compact SUV in India. The Duster gains new equipment in 2WD variants, exterior detail changes, improved interior and uprated powertrain. The Renault Duster is the French automaker’s best-selling model in India. While other Renault products do sell in decent numbers occasionally, none of them quite match up to the Duster on sales front. Inevitably, Renault’s sales volume are majorly driven by this compact SUV in India. To keep the sales momentum get going and customer’ interested in the Duster, Renault has now updated the car with a number of new features and equipment in the country. The new Renault Duster is priced between Rs 8.30 lakh to Rs 13.55 lakh across petrol and diesel variants. The prices have been reduced by about Rs 6,000 across the entire Duster range. On the outside, the design and profile of the Duster remains unchanged in the new model. Enhancements on the exterior come in form of smoked headlamps, body- color door handles, and body color ORVM covers. Similarly, the updates on the inside include new and improved feel as it incorporates new soft-touch materials, fabric upholstery and additional equipment. The sound deadening inside the cabin has also been improved for added comfort factor, Renault claims. While the basic interior layout remains the same as the previous model, the new Duster gets 3-spoke steering wheel as standard across variants; the top-end variants get controls for the cruise control and a steering column mounted multimedia controller will also be available. The instrument cluster on the 2WD variants comes directly from AWD variants now. In the top-end 2WD variants, you also get a MID (multi-information display) with service reminders, real time fuel efficiency display, distance to empty warning, ambient temperature and average speed display. All Duster variants now get a three-pod instrument cluster with chrome-surrounded dials and white backlight. New equipment on the Duster include an updated multimedia system with integrated navigation and gear-shift indicator. Safety net comprises dual-front airbags, ABS, EBD, brake assist, rear defogger and wiper with washer, speed sensitive door locks, impact sensing auto door unlock, rapid deceleration warning etc. Powertrain remains untouched on the new Duster, although, the engines have been slightly up-tuned for better refinement and driveability. The 1.6-litre petrol engine develops the same as before 104PS @5,750rpm, but the torque figure is higher at 148Nm @ 3750 rpm (up from 145Nm @ 3,750 rpm in the older model). The engine is mated to a 5-speed manual transmission and returns an ARAI rated fuel-efficiency figure of 13.24 km/l, which is also unchanged from before. The diesel variants continue to be offered in two states of tune of the same 1.5-litre diesel mill. In its lower tune, the engine develops 85PS @ 3,750 rpm and 200Nm @ 1,750 rpm (peak-torque produced at lower rpm now as against 1,900rpm from earlier). The more powerful engine-tune develops 110PS @ 4,000rpm and 245Nm @ 1,750rpm (which is actually lower than the earlier version’s 248Nm @ 2,250rpm). The 85PS version comes mated to a 5-speed manual gearbox whereas the 110PS version comes paired to a 6-speed manual transmission. Surprisingly, the efficiency figure of the 85PS engine has gone down to 19.87 km/l from 20.45 km/l. On the other hand, the 110PS engine is now more efficient at 19.64 km/l as compared to the previous model’s 19.01 km/l. Renault says the addition of an ECO mode helps the 110PS engine attain 10% more in terms of fuel- efficiency. Since its launch in July 2012, Renault has sold over 2 lakh units of the Duster. The addition of a capable AWD version of the car only helped it gain more interest among buyers in the country. 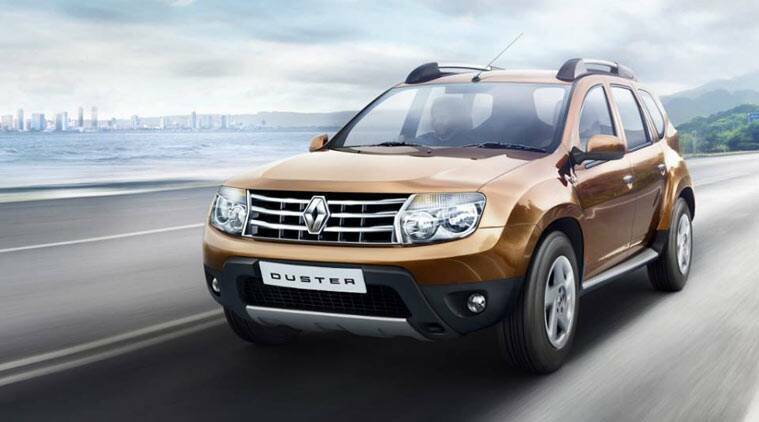 The newly launched face-lift is expectedly going to attract more car buyers into the Duster brand for Renault in India.